Honoring the Best of the Best … or was it the Rest of the West? Test of the Best? For 85 years now, the editorial staff at Uncle Walt’s Insider has been recognizing the best things in the Disney Social media atmosphere. Here are the long awaited winners of this year’s Golden Churros awards. Following a 6-week nomination period, each member of the staff here at Uncle Walt’s each takes the time to visit and review each entry. The entries are ranked on a comprehensive (and highly confidential!) scale, and then are broken into the various categories. Then, we name a winner for each category. How? That’s proprietary. We can assure you, however, that it is a highly scientific and excessively accurate process. 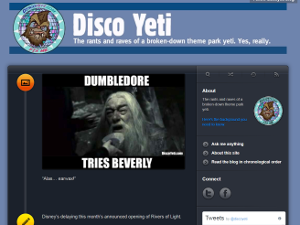 The winner of the Golden Churros in this category is the incomparable DiscoYeti.com. Written by the world’s foremost (and largest) authority on Animatronic Yetis, the site posts relevant news with a sense of sarcasm and apathy that can only come from being stuck for years inside the tallest mountain in Florida. Unfortunately, this blog hasn’t been updated much lately, most likely due to the author recently giving birth to a baby yeti. 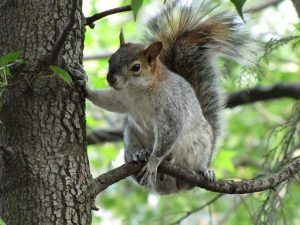 Spotty WiFi coverage, and inability to find keyboards that can hold up to constant typing by Yeti-sized hands also played a part in the infrequency of the updates. “Disneybounding,” for those who aren’t familiar with the concept, is dressing up in clothing to look like Disney characters. Since Disney no longer allows adults to wear costumes into the parks, people have resorted to clothing look-alikes. This year, the Best Disneybounding Golden Churros award goes to the excellent “Rocket Raccoon and Groot” pictured above. Look at the detail in Rocket’s tail. So realistic! Simply amazing! This category is always tough, since there are a plethora of excellent Disney news sites out there. This category always seems to draw the most nominations, which means the most time spent evaluating all the entries. 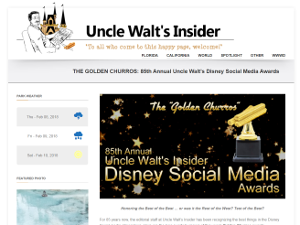 After much discussion and debate, our editorial staff has awarded the Most Accurate Disney News Site award to Uncle Walt’s Insider. 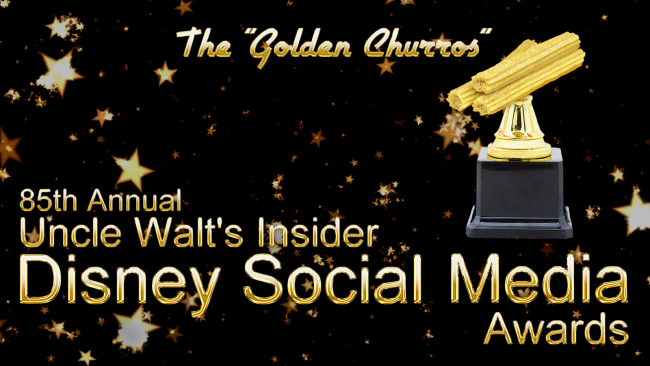 Congratulations to the team at Uncle Walt’s, for winning the Golden Churros a record 84 of the last 85 years (missing only 1988, when we boycotted our awards because of the screenwriters strike)! We’d also like to congratulate all of our runners-up, including WDWInfo, MousePlanet, The Onion, AllEarsNet, and the Official Disney Parks Blog. 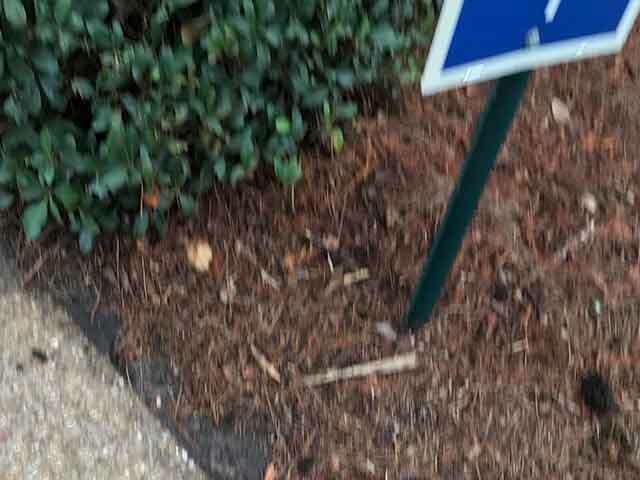 For those of you that are as clueless as I was when I started writing this, apparently, there are several walls throughout Disney property that are designated as “Official Disney Instagram Walls”, and if you post a selfie of yourself on Instagram in front of one of these walls, Mickey Mouse will send you a 100% genuine “Like”! However (and I’m sure this will make my editors unhappy), I refuse to give an award in this category. Nobody should judge their self-worth based on the number of “Likes” your social media receives. You’re worth more than that. Selfies are just a form of narcissism, and I refuse to perpetuate that. Be sure to “Like” us on Facebook, Twitter, and Instagram. Our self-worth depends on it.